Stornoway teenager Connor MacLean is aiming to take his athletics career to the next level in the USA, following another outstanding performance at a national competition last weekend. 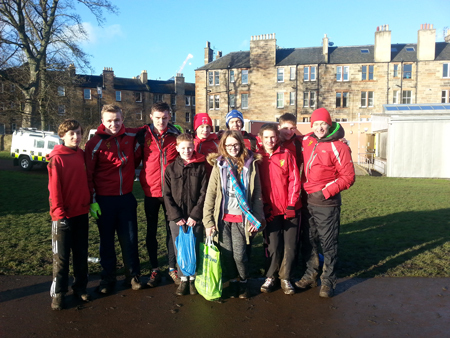 The 17-year old won gold in the Scottish Inter District cross country championships in Edinburgh last Saturday. Competing in a high-class field, where the under-17s and under 20s races were combined, MacLean placed 13th overall — finishing ahead of four of the six Great Britain junior team. Connor will be part of the Scotland under-20 cross country team for the Celtic Nations International in Ireland this weekend. 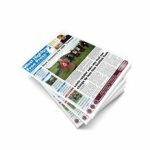 Coach Ross Munro said the teenager was the most promising athlete he had coached in all his years with the Stornoway club. 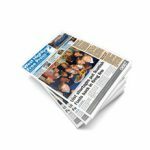 He said he was thrilled with MacLean’s performance, but stressed that it had come as the result of years of hard work by the 17-year-old who, along with club-mate Michael MacMillan, has ambitions to win an athletics scholarship in the United States. “Connor is a very committed lad and it was a great run in Edinburgh,” said Ross. “His training partner, Michael, will actually be disappointed with fifth in the Inter-District race. Because of work reasons and so on, we often do sessions at 7am in the morning. The two of them are there and very dedicated indeed. “Connor is doing 50 miles a week at the moment and, in my opinion, it is all about how much you want it. I don’t think there are too many 16 and 17-year-olds getting out of bed at 6am to put so much effort into their sport. “Both have ambitions to get to the United States on athletics scholarships. So they are happy to put in the work. “It is expensive. You need the club support, and the family support. The parents are supportive and then there is the local sports council. We are always asking for travel grants because Connor and Michael are racing often on the mainland — and all over Britain in fact. Both Connor and Michael were part of strong island contingent picked for the North district team for last weekend’s races at Holyrood Park. Elsewhere, in the under-13 boys and on their debuts at this level, David Morrison finished in 35th place with team-mate Aodhan Finnegan in 39th. In the girls’ U13 race Ellie MacLean also ran well placing 33rd. In the under-15s there was a fine 13th place finish for Kyle Munro as his excellent opening season form continues. And Joanna Gillies finished in a good 31st place on her debut. Peigi McKellar came home 35th in the girls’ under-17s race. In the senior men’s race there was a very strong run from Iain “Corky” MacCorquodale, originally of North Uist, as he came home in 11th place. Stornoway’s Murdo Alex MacKenzie just got the better of team-mate Willie MacRury by two seconds as they finished in 45th and 46th place in what was a tough race. 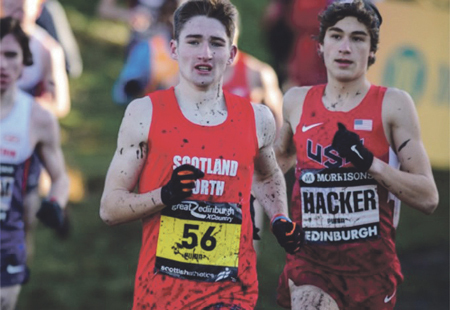 The next big race is the Scottish Nationals in Falkirk in six weeks time, but it promises to be a big year for both Connor MacLean and Michael MacMillan. Michael is targeting a place in the Scotland squad for the Youth Commonwealth Games in Samoa later this year. Both runners are also on track to be part of the Western Isles squad for the World Island Games in Jersey this summer. Ross said it was also possible that Connor could feature for Scotland in the British inter-district championships, or in the world junior cross country championships in 2015.